The amount awarded Blackstone Valley represents about 19% of the $799,540 granted. This is a great opportunity to position the workforce to be ready for the hoped for green jobs that Patrick is hoping will come out of his plans to invest in the green energy sector. 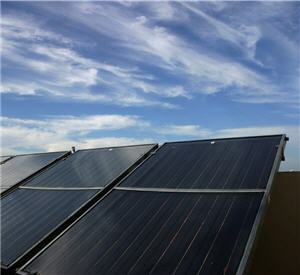 The Globe today reported that the solar energy industry nearly doubled from 2007 to 2008 and the growth is expected to continue. Also in the article though there was a concern that we need to actually create more green jobs in order to benefit from training the workforce. We need to make sure that the jobs are there when the programs are actually graduating students. At this point though there is a lag time to actually graduating students because according to Blackstone Valley’s own press release the program needs to train educators before it can actually put programs in place to train students. Valley Tech is the lead applicant and will be the fiscal agent for the new EnSAVE Program (Energy Solutions Accentuating Vocational Education). EnSAVE seeks to train an established network of vocational technical teachers in building science/weatherization, solar photovoltaic panels and solar domestic hot water systems. These instructors in turn would teach students the same technologies and adult evening students the skills that may lead to certification in these newer technology areas. The program would not only benefit students in the Central Mass/Worcester County areas but also across Massachusetts since the EnSAVE program will be working with a consortium of Massachusetts Vocation Schools and other statewide organizations. The truth of the matter is that as a state and even as a country we need to move earlier rather than later in this Green Renewable Energy Sector. I recently saw a report on ABC News that showed that China is moving at unprecedented speeds to develop this industry. We need not only government to move forward in this space but the private sector has to move faster as well.